In the rapidly scaling stratum of the blockchain industry to disrupt and revolutionize other industries across the globe, there remain to be and prosper a number of issues that need immediate attention. It goes without saying that blockchain is a nascent technology, and there exists a need to add credibility to it in order to favor its mass-adoption. There have been consistent efforts by a multitude of blockchain enthusiasts and their ventures to make the industry and its community more coherent, productive, and trustworthy. 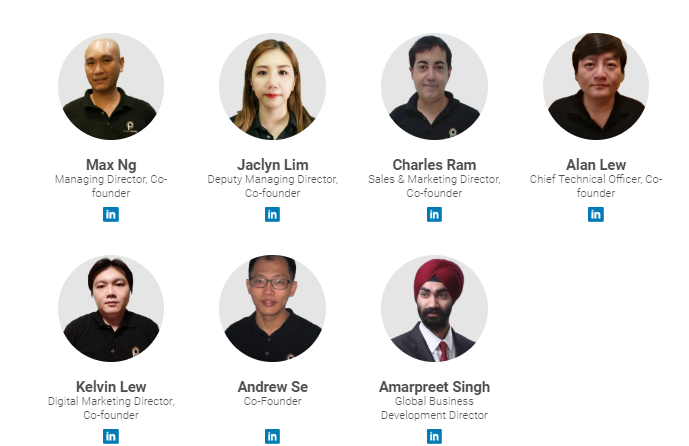 Following the same rationale and trailing the path to the betterment of blockchain, its community, and ICOs is this promising, result oriented company, CryptoProfile. CryptoProfile is a one-stop-shop crypto community whose paramount motive is to overrule the inefficiencies faced by the community members and the ICOs. Founded in October 2017 by Infochain Holdings Pte. Ltd., CryptoProfile has already built a community of over million cryptocurrency enthusiasts — writers, journalists, investors, analyst, developers, entrepreneurs and more — who are eager to help the world comprehend the blockchain and cryptocurrency technology. When CryptoProfile says its a one-stop-shop crypto community, it really does mean that it’s for all, the people and the businesses. 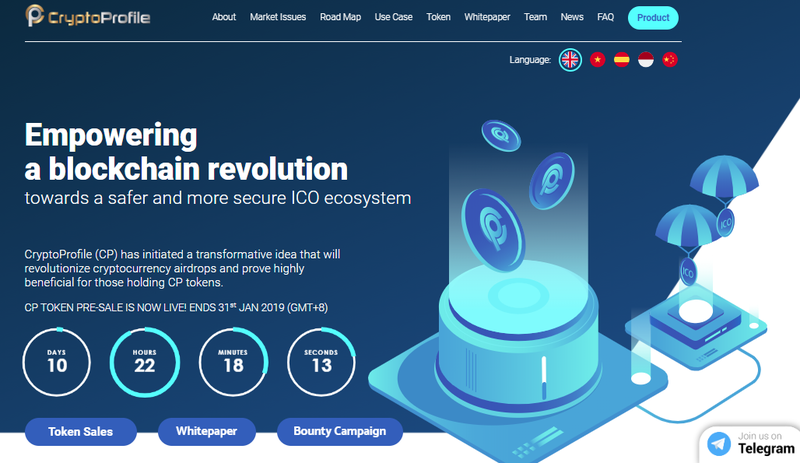 They have helped multiple ICOs get their message across the huge CryptoProfile community and now intend to become the most widely known and trusted blockchain based multi-functional website by filing for an ICO for their own company. There’s a good deal of challenges present out there in the open that CryptoProfile envisages to take upon and resolve. Let’s take a look at them. 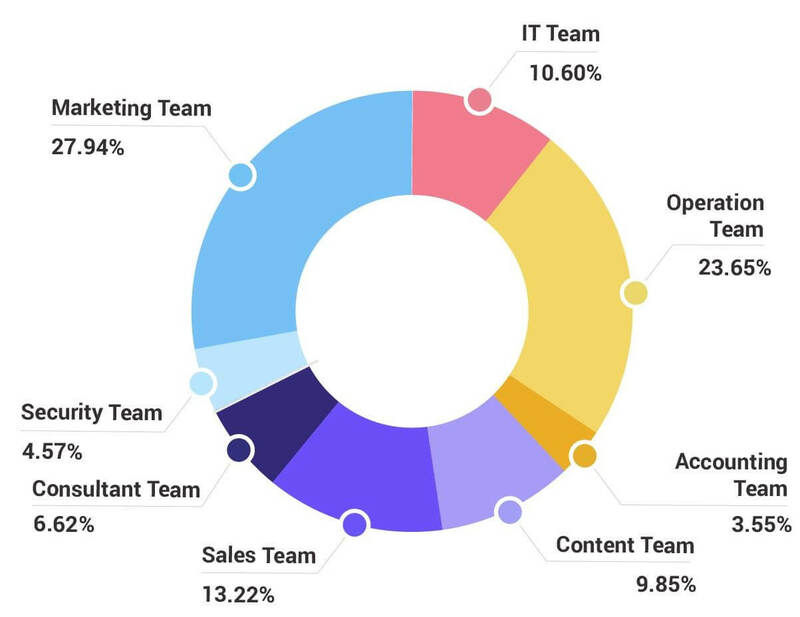 In the last one year, there has been an unprecedented growth of websites that call themselves ICO marketing gurus despite having the least experience in the field. Their unprincipled ICO marketing techniques can only get ICOs so far. It remains a strong objective of CryptoProfile to render ICOs the exposure they deserve. Having an idea and implementing it in the real world are two very different things and marketing companies usually lose track of their ideas while its implementation. On the contrary, CryptoProfile has a proved track record for devising and carrying out a marketing plan that is expeditious and result oriented. CryptoProfile provides full-service ICO management — ICO digital marketing, community management, ICO public relations, and so on. For those of you who do not know what an ICO airdrop is, it is the free distribution of ICO tokens to the community members of the platforms that host the ICO. Now, there are many ICO platforms that host ICOs but do not provide a reliable airdrop mechanism owing to which, the community members are often debarred of the benefits that ICOs intend to provide to them. In this light, CryptoProfile has a fully planned airdrop process that would make sure its community members can reap the benefits of the ICOs that the platform hosts. ICO projects that are accepted by CryptoProfile will pay US$100k for marketing. Cryptoprofile will return USD100k value of CP tokens. CP tokens will then be locked up in a smart contract for a period of six months and be released once the ICO token gets listed on an exchange. ICO projects will have to give 10% of the complete token volume to CryptoProfile. 100% of the ICO tokens will be airdropped to the huge community that holds CP tokens. All CP holders will keep getting airdrops every time CryptoProfile accepts ICO projects for marketing. To make sure that it reaches as many people as possible and keeps expanding its community, it subtly balances the interaction between its website and social media. All being said about CryptoProfile, it is now a matter of time to wait and invest in CryptoProfile’s ICO and help leverage an unrivalled community-centric platform on blockchain.